Thomas & Betts Carlon® Snap-Loc® Model-S288 Non-metallic base spacer of trade size 2-inches, has side dovetail rail-and-groove design that enables side-by-side interchangeability of conduit spacer sizes while maintaining horizontal stability. It measures 4.5-Inch x 1.25-Inch x 4.25-Inch. This base spacer features durable thermoplastic construction and offers 2-Inch spacing between conduits. The innovative vertical and horizontal interlocking Snap-Loc® design of this base spacer has tapered joining slots with maximum tolerances for easy jobsite assembly. It offers stability, consistent separation and relieves direct stress for duct materials encased in concrete and direct-buy applications. This base spacer is perfect for use with non-metallic duct. 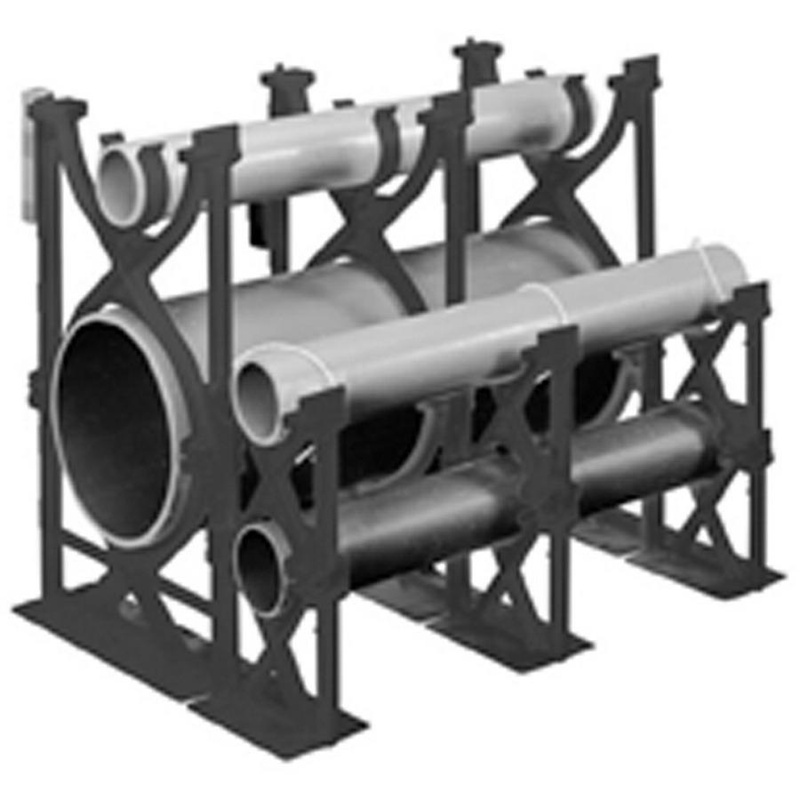 Base spacer is ASTM certified and meets NEMA standards.